Wipeout Omega Collection (game, 2017). A futuristic racing video game by Sony Interactive Entertainment. Developed by XDev, Clever Beans and EPOS Game Studios, Sony Interactive Entertainment. Official Trailer. Wipeout Omega Collection is a futuristic racing video game by Sony Interactive Entertainment, developed by Clever Beans and EPOS Game Studios, Sony Interactive Entertainment and XDev. 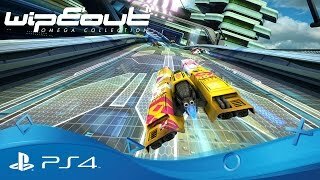 WipEout Omega Collection | PSX 2016 Announce Trailer | PS4. Wipeout Omega Collection is a remaster of the previous two titles in the Wipeout series: Wipeout HD (with its Wipeout HD Fury expansion) and Wipeout 2048. Wipeout HD itself contained content from Wipeout Pure and Wipeout Pulse. Players control anti-gravity ships which are owned by racing corporations (effectively referred to as 'teams' in-game). Every ship has different characteristics; for example, each ship's statistics vary in handling, thrust, top speed and shield strength (and in 2048, firepower). Each craft is equipped with an energy shield which absorbs damage sustained during a race; energy is lost whenever the player's ship collides with the trackside barrier, other ships, or is hit by weapons fire. If the shield runs out, the player's ship will explode and is consequently eliminated from the race. However, the player may replenish energy by absorbing weapon pick-ups. 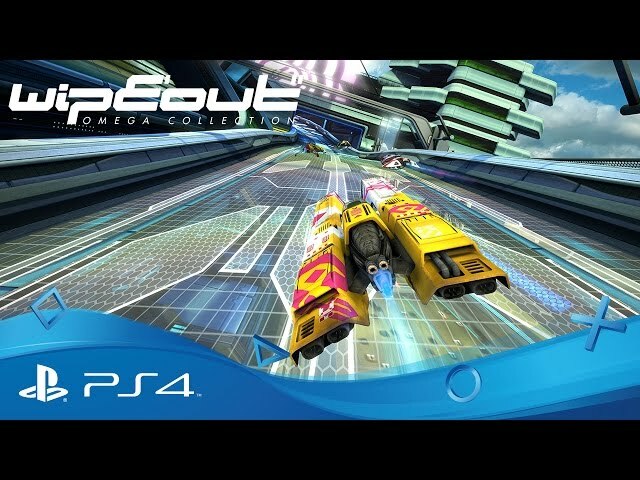 Wipeout Omega Collection was scheduled to be released by Sony Interactive Entertainment on June 6, 2017 and on June 7, 2017.